Need Parts For Your Zoom-Zoom? 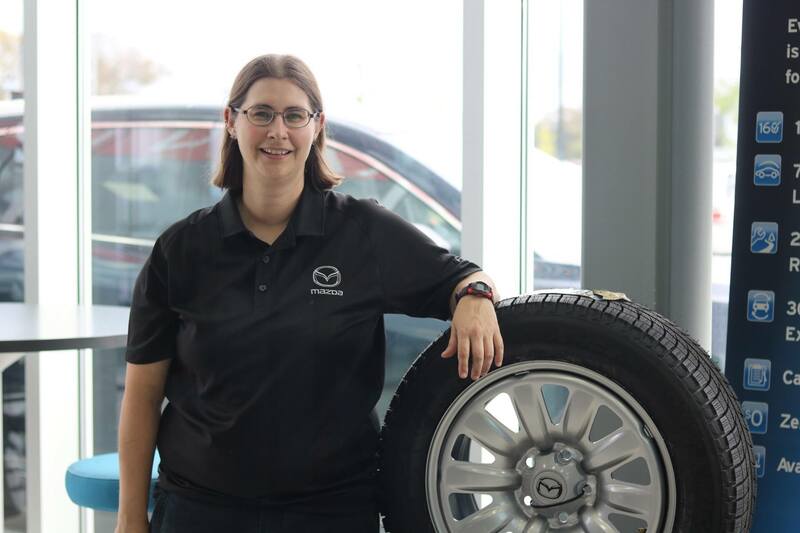 The team of Pfaff Mazda is pleased and proud to announce that our parts Manager Melissa Whiteside won one of the top awards from Mazda Canada for best overall Mazda parts manager in Canada. Melissa continues to astound us with her great work ethic and customer service tenacity. For great service and all your Mazda parts needs please contact Melissa at 519-204-6753. Our parts department can source parts for nearly any year, make and model of vehicle, including Mazda. We can get you the Mazda OEM parts you are looking for. Give Your Zoom-Zoom Some TLC! Let us keep your car healthy! Pfaff Mazda can service any year, make and model vehicle to protect it and help maximize the life of the vehicle. We understand the importance of having a safe and reliable vehicle. Our vehicle service facilities are fitted with the latest in technology to provide the best possible service to you. Now you can view the progress of service of your vehicle on monitors that tell you the stage your service of your vehicle is at and how long it should take. Whether you need routine maintenance like an oil change or something major like a new engine, we are more than happy to help you. Just fill out the form below to make your next service appointment with Pfaff Mazda!